Like to cook? Love science? Why not combine the two? Purdue student Dylan Morton is doing just that. Learn more about his passions of food science and cooking in the article below. Be ready to learn more about your food than you ever imagined if you have lunch with Dylan Morton. And if you’re lucky enough to have him make that lunch, his artistry is going to wow you with a combination of flavors you never imagined. 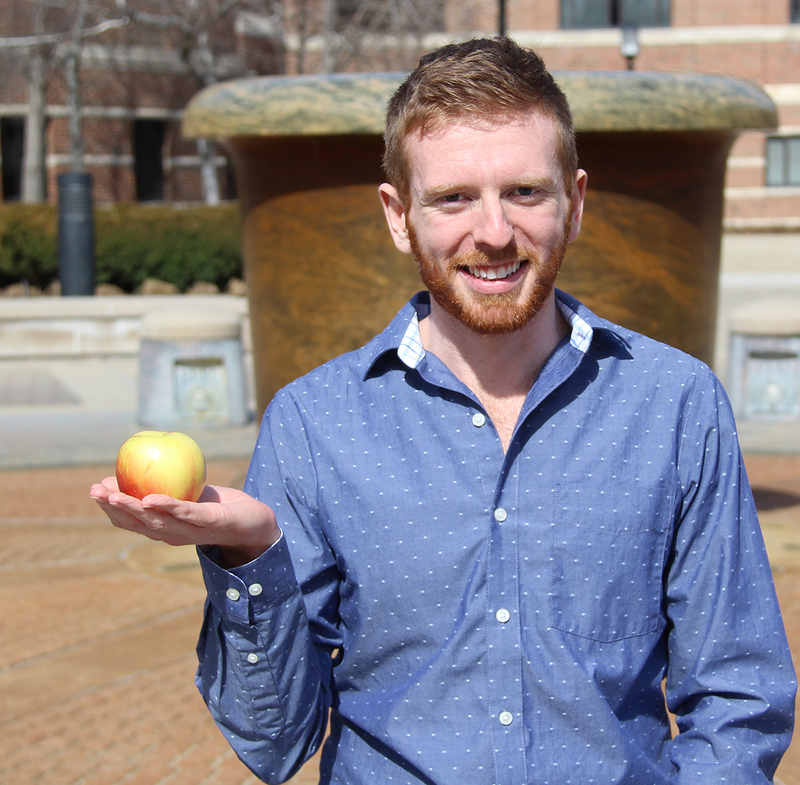 The junior from Indianapolis knows all about both the science and the art of food — he already has a culinary degree and is majoring in food science. Morton believes there is no conflict between the art and science of food. In fact, he wants to combine the two. He credits his love of food to his mother. Morton said he has always been interested in the art of cooking food, but he also enjoys the science behind it — like figuring out why some foods taste so good or can last so long in a cupboard. Morton’s love for the kitchen inspired him to pursue food as a career. To do that, he learned he would need to complete two separate degrees to mix his passions. He began his college experience with culinary school at Ivy Tech Community College. “Culinary school really pushed my boundaries,” Morton said. It was all about exploring new ways of thinking about food. He put his new skills to the test by working in restaurant kitchens while going to school. He loved cooking and trying new recipes, but did not love the long, odd hours of the restaurant business. But he loved learning and experimenting. “In culinary school, they give you the freedom to try different combinations you really wouldn’t think go together: like basil and lemon,” Morton said. But Morton also really enjoys the science of food. And that’s why he is looking forward to his summer internship with a major food production company that makes things from Marie Callender’s pies to Orville Redenbacher’s popcorn. “I will be doing the product development, so I will see if that area is more interesting for me or if I want to be hands on and making food instead,” he said. He also hasn’t ruled out some creative recipes for the perfect career. “A research chef would be job that would interesting for me to do,” said Morton. Morton is planning on using his passion for food and food science to broaden his skills in the kitchen as well as show people what kinds of great products he can create. Morton’s passion for cooking sprouted from his mother who taught him how to cook at a young age.